Many people have less than perfect driving records. High-risk insurance, or "Non-Standard" insurance, refers to an auto insurance policy that is given to a high-risk driver. The General® specializes in providing auto insurance for these drivers who fall into that high-risk category. More people are categorized as high-risk today than a decade ago; as a result, high-risk insurance is much more common. How do you know if you're considered a "high risk" driver? • If you've had your license suspended or revoked and require an SR-22 policy for reinstatement. The Registry of Motor Vehicles in your state will notify you if you require an SR-22 policy. The General® can help you acquire the proper documentation for reinstatement online within minutes. • If you are 70 years old or older. While some insurers view you as "high risk," The General® views you as an experienced driver who deserves an affordable auto insurance policy. • If you are 20 years old or younger. Again, while other insurers view you as "high-risk," The General® believes you deserve a fair auto insurance quote, and we don’t believe you should be penalized because of your age. Instead, we'll work to customize a policy that fits your insurance needs and your budget. We pride ourselves on making high-risk auto insurance painless and easy. • If you have a history of auto accidents or violations. Other insurers may try to keep you off the road, but The General® can give most drivers an auto insurance policy that will keep them insured. We'll even offer you discount points over time for keeping a clean record and being a cautious driver. 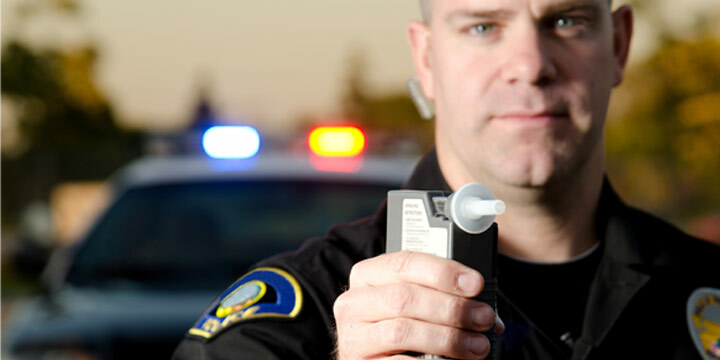 If you have been convicted of a DUI, you know that it can be a long and costly road back to the driver's seat. One thing that doesn't have to cost you an arm and a leg, however, is your post-DUI car insurance. We have helped many drivers convicted of a DUI or DWI find affordable auto insurance. In fact, cheap DUI insurance is a specialty of ours. We can walk you through the whole SR-22 filing process securely and confidentially. There's no need to fill out reams of paperwork or spend days on the phone waiting to speak with someone. You’ll have DUI car insurance rates in a matter of minutes, right from your computer or mobile device. Or, if you prefer, you can speak with one of our helpful and knowledgeable agents on the phone who can assist you with any questions about DUI car insurance you may have. If you've been involved in prior traffic accidents, have a history of traffic violations, or been convicted of a DUI/DWI, insurance companies often label you as a “bad driver” and make it very difficult for you to secure affordable high-risk auto insurance. Many insurance companies simply won't take the risk. But The General® is different. We've helped secure car insurance for bad drivers for years, enabling them to get back on the road legally and with peace of mind - knowing that should they be involved in another accident, they're covered. If you thought you were out of options, we'll gladly prove you wrong. Not only is cheap full coverage insurance for bad drivers possible and affordable, it’s also convenient. Right from your computer, you can get a rate quote, sign up for coverage, pay your premium, and even print out your very own proof of insurance card. Affordable car insurance for high-risk drivers has never been so easy! In other words, you could go from no insurance to driving legally in a matter of minutes. We even allow you to budget your premium into monthly payments if that works better for you. We take our customer service very seriously whether our customers have perfect driving records or not. Find out today how good car insurance for bad drivers can be. The General® Says "Yes" When Others Say "No." In the past, high-risk auto insurance was difficult to come by and usually so costly that few drivers could afford it. 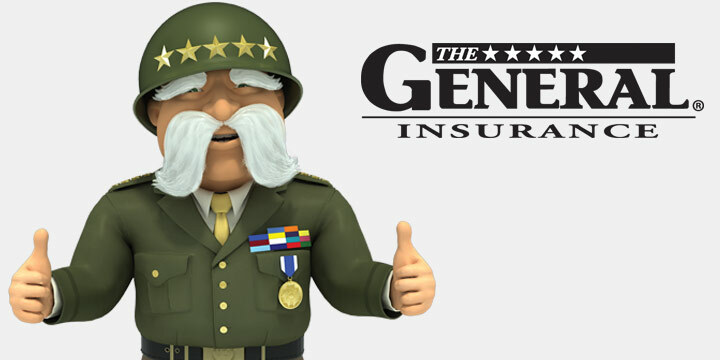 Luckily, The General® has helped countless drivers secure affordable high-risk auto insurance. We offer non-standard policies with the same flexible rate plans and outstanding customer service as our standard policies. If you've had trouble purchasing high-risk car insurance from other providers, give us a try. Not all insurance companies offer policies to all drivers, but our business is built on giving our customers the coverage they need-- even if they have less than perfect driving records, policy lapses, or no prior coverage. Insurance companies are not required to cover all applicants and therefore many choose not to. In fact, some insurance companies only accept drivers who have been previously insured, are over age 25, under age 70, and have perfect driving records. We provide affordable high-risk insurance coverage by quoting and selling auto insurance online. Our expenses are lower, so we can afford to pass the savings on to you in the form of low down payments and low premiums. Get a FREE, no-commitment auto insurance quote today in just 2 minutes or less.